Inside Out Productions are storytellers. Specialising in sophisticated, visual, high impact work that utilises cutting edge technology and captures a live audience. The work communicates and transform audiences, working in environments that range from the intimate to the spectacular. Inside Out was formed in London in 1983 by company directors Mike Mizrahi and Marie Adams, where the founding members trained. The backbone of the work they produced lies in the techniques and philosophies of Visual Theatre. 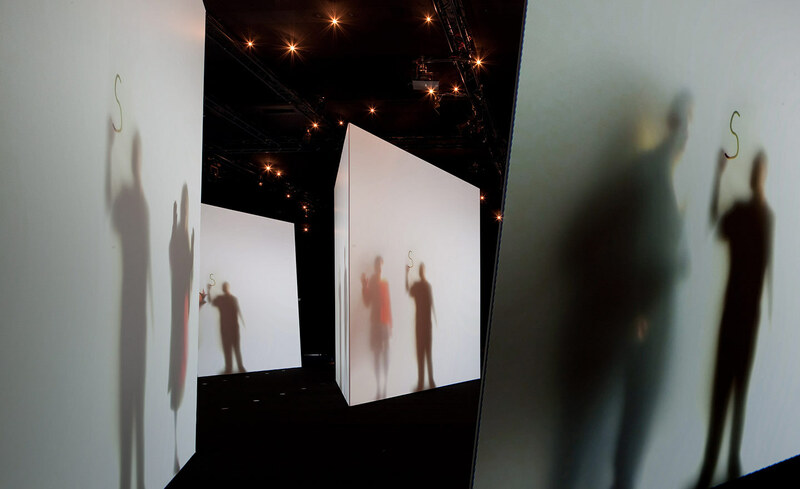 Creating self-devised work that toured Great Britain, New Zealand and Australia Inside Out’s visual theatre was a celebrated part of the cultural landscape. "Mike Mizrahi and Marie Adams are the greatest treasures of this nation’s theatre "
In 1995 Inside Out Productions began its work in the events and experiences. The company has since worked with some of the world’s leading brands including LVMH, BMW, 100% Pure New Zealand, Sky TV, and Saatchi & Saatchi to name a few. Events have been produced in theatres, stadiums, exhibition halls, and museums, in mid air, in water, sand, and mud. In Ballrooms, film studios and temporary structures. No matter where the work is presented it communicates with an audience in a sophisticated and engaging way, using our visual storytelling technique to take the audience on a journey. Creating work with complex technology and always ready to explore this ever expanding field, Inside Out produce multi-layered shows that are celebrated for their innovation and design. Drawing from a pool of talented, largely New Zealand based creatives Inside Out Productions have collaborated with numerous designers, engineers, artists. They have worked in Great Britain, France, Australia, China, Japan, the USA, Spain, Germany and New Zealand. They are comfortable leading crews and mounting productions and exhibitions nationally or internationally, both large and small scale. The company goes the extra mile to create human experiences that change the audience’s perception and exceed expectation. With 30 years of working in the live medium, their ability to connect and engage with the live audience is their greatest strength. Mike Mizrahi was a Design Judge at last years Cannes Lions, and has a small cameo in The Hobbit. The company have just returned from Frankfurt where they formed a Joint Venture with Pattersons Associates to stage the Pavilion of Honour, at the Frankfurt Bookfair, the largest Bookfair in the world. Inside Out acted as Co-designers, Creative Directors, Project Managers and Producers of the event for The Ministry of Culture and Heritage.